The Islamic State (ISIS/ISIL) released a video of new jihadists who just graduated from a training camp in Nineveh Province, Iraq. The class consisted of about one hundred young men and shows off their ability to use American weapons. “The first group of volunteers for Jihad in the path of Allah has graduated at the Sheik Abu Azzam Al-Ansari military camp,” said the unidentified speaker. The video reveals that each jihadist has to pass three courses. The first is physical strength. The students, dressed in white, stand in a line while a man kicks each one in the stomach. The men are shown being whipped by a leader, how to rescue one of their own in the battlefield while teachers shoot blanks at them, and hand-to-hand combat. The students were required to pass weapons training, as well. The speaker tells the audience the steps include disassembling and assembling weapons. The students are in a room with guns, and a man at the center of the room shows the jihadists how to disassemble the gun and put it back together. The third and final step is Sharia. The Islamic State believes everyone should live under Sharia Law, and implements the strictest interpretation of these Islamic laws in its “Caliphate” in Syria and Iraq. “Do you know, oh mujahideen, that you will make your first step on the battlefield with the tip of your foot, and your final one will be as you are carried on people’s shoulders after your martyrdom?” said the speaker. 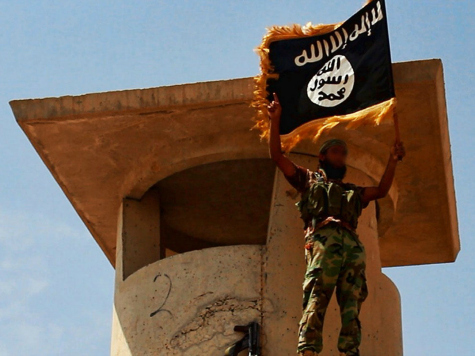 The Islamic State has released many videos of training camps. In July, the terrorists released a video of a training camp for children. The kids appeared to be between five and seven years old with guns. They showed off chants, songs, and military formations to Omar al-Shishani, a Chechen Islamic State leader. One of the children demonstrated his ability to quickly take apart the gun, reattach it, and load the ammunition.